For this site visit, the ʻōpelu refers to the fish, the mackerel scad. 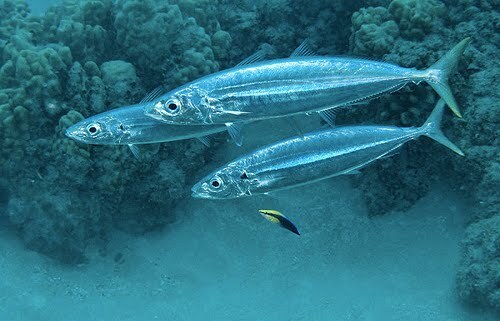 The scientific name for the ʻōpelu is Decapterus pinnulatus and D. maruadsi. The ʻōpelu is an ʻaumakua to some people. For more information about the ʻōpelu, please view the thesis, A Biological and Social Examination of Opelu (Decapterus spp.) Fisheries in West Hawaii, Hawaii Island, by Blake D McNaughton. The link is below in a PDF. Said of active, quick-moving people.